Call Center Outsourcing: Things to remember! Are you ready for a call center? The most important question and probably the first one to be answered by every business is the need to outsource call center services. When a company thinks to outsource its operations, it has to make sure that certain circumstances, which describes the reason outsourcing is important, has to be full-filled beforehand. When a company researches to answer its own questions, it becomes easy to look for the motives, which makes outsourcing necessary. When companies look for an external experienced partner for customer service, this process is called call center outsourcing. Companies began outsourcing their services to save money. The main reason outsourcing boomed is its feature to save expenses for businesses. Every entity wants a service provider that can handle its operations well and can boost business productivity with minimizing expenses. Outsourcing is one best option, which even helps in natural disasters and supports to keep your business process functioning even in adverse conditions. • When is the right time to outsource call center services? a) Your business wants more agents to handle your customer service. b) Do you have the budget to outsource? c) Is your company looking forward to expanding business boundaries or the in-house team cannot handle calls anymore? d) Does your company require external help to boost productivity? e) Does the business lack enough capital to invest in skilled professionals and infrastructure and thus, it’s the reason to outsource! All these questions when answered can help you relate well on why is there a requirement for your business to outsource services! Before hiring an external partner for help, formulating objectives is necessary. When the purpose of reputed call center outsourcing is described, companies have an idea over the pointers to be discussed with the potential partner, so that expectations and deadlines are clear previously. This makes the selection of agents easy as you have the objectives to discuss all your requirements, which helps to finalize the correct partner. d) Quick to work, deploy, etc. Call center outsourcing has to be done with a prospect of getting services as per the business requirement. Before finalizing a partner, make sure you are clear with the skills your business requires and look for a vendor accordingly. If your outsourcing partner is well experienced, working on business operations becomes easier, solving issues and deploying changes are easier too. If you hire a partner without much verification over qualities, the results can affect brand image and an in-effective agent can detriment your business. Show your work portfolio to the potential partners before, discuss the challenges, the deadlines, etc. and ask if they are ready to work as per your preferences. If yes, choose the best of all! It is important to check the potential partner on the authenticity part. After finalizing your outsourcing partner, make sure to search its previous performance, reliability, time to market, etc. Try knowing whether your potential partner was able to deliver services on time or not, functions were operative or not, flexibility and responsiveness are promoted or not, etc. Checking out the real performance authenticates and assures that your partner is good to work with and that your money will not be wasted anyway. Irrespective of landing in an awkward situation, make sure you take the precautionary measures and make services transparent. Only three months are left, and the year 2018, will end. So before it ends, it's quite essential to discuss what technology trends are going to help businesses and make them successful in the upcoming year. But before we step on that, let us have a look at what technology trends have greatly influenced call center services India and made them the BPO leaders of 2018, across the world. Chat bots and live agents etc. But 2019 would be more challenging for all, and hence, businesses would have to be more strategic, make use of better analytics, media conversations need to be more intentional and specific, and they must discover innovative ways to utilize Artificial Intelligence in business operations. In the arena of call centers, technology has achieved a faster pace. Something that was effective a few years ago or worked this year doesn't mean that the same will work the next year too. Technologies and strategies used in the previous years have now become outdated and aren't that effective. Well, well, I am not saying that nothing is going to work. They will, but only when businesses find out some new and creative way to use them. In this piece of article, I have described a few technology trends that will help businesses to acquire better results. 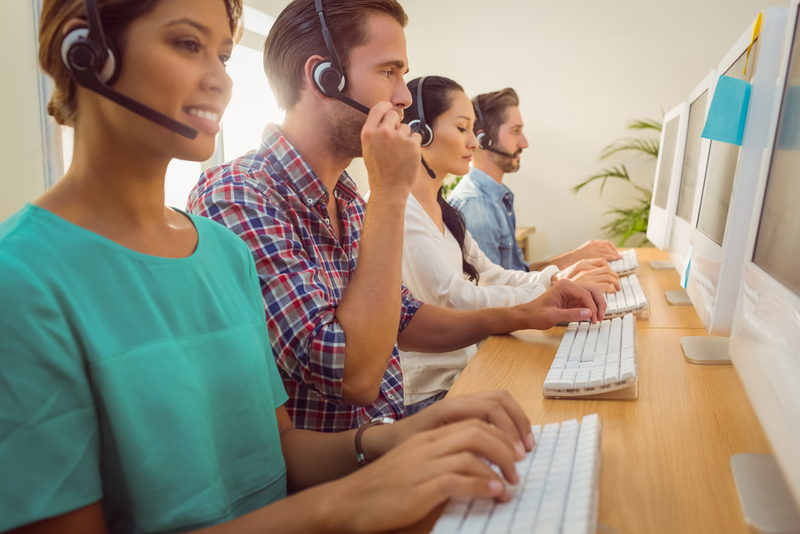 Businesses have now dug into predictive analysis and are utilizing AI tools to streamline call center experiences for both customers and agents. The same is expected to spread widely if users continue using AI tools to route calls. In the future, various communication will get established between different media channels and streamlined call center response. Therefore, it is worth to examine what call center AI options might benefit you. As we know, customers are consistently looking for something new and more: an experience that leads to a long-term relationship with the business. Digital transformation aka advanced technology has completely changed the way businesses performed earlier. Therefore, businesses that are desperately seeking ways to remain competitive, must look forward to digital transformation strategy which will help organizations to offer unified omnichannel communications and machine-to-machine communications via the Internet of Things (IoT). Digital transformation will help businesses offer a whole new customer experience to the patrons. There was a time when call center agents had to rely on supervisors to get most of the problems solved. But it isn't the same anymore. Even small businesses, today, are utilizing sophisticated analytics to turn data such as call recordings, chats, text messages and more into truly effective feedback for agents. Better and sophisticated analytics help agents, supervisors, and managers to stay updated on customer experiences and let them know about any critical issues. If agents aren't performing well, they will be trained by the quality assurance team. In general, it is expected that since companies are continuously implementing more unified communications platforms and strategies, there will be a great advancement in the business process. Unlike one-way conversations where customers were not allowed to speak, two-way social media conversation allows customers to connect directly with brands and let them express their opinions and register complaints. Businesses, now, listen and speak to their customers and respond directly to their queries and demands. Therefore, whenever you post on social media ensure that 80% of your posts add value and help in brand building. Call center services India are already making use of two-way social media conversations and are expected to bring better customer experience in the upcoming year. Many businesses have already incorporated cloud communication as a part of their strategy, but call centers are the one that are availing full advantages of this technology and getting more benefits as compared to others. With the gradual rise in the remote call center agents, cloud communication is eventually becoming a prerequisite for businesses to have seamless team communication and collaboration. With the same, traditional office-based call centers could be able to spread in different locations, grow and contract workforces as per the market needs. Regardless of where customers are placed, Omni channel communications offer patrons an integrated and cohesive customer experience. With Omni channel, customers get independence to choose their most preferred and easiest way to communicate with the company. But most of the people confuse Omni channel with multichannel communication. However, they aren't similar. The difference lies in the level of integration. While multichannel is a non-integrated approach, Omni channel communication is an integrated approach with coherent and absolute integration. When you are planning to grow your business, every step that you take counts. One mistake can shake your business in a jiffy and the loss would be irreversible. That is why you need to make every decision carefully. The steps you take should be such that the chances of gain are more than that of the loss. While core business functions and expansion plans are being looked after, if there is anything that is overlooked quite a few times then it is customer support. The business owners fail to realize the importance of great customer experience for their business. It is one of the best ways to help your business grow while cutting cost and time. Hence, the first thing we suggest you go for is to search ‘Call center India’, it will provide you a list of call centers. You, then just need to choose a call center that complies with the services you are looking for. Outsourcing your call center services to call centers of India will help you in managing your budget well while providing excellent assistance to your customers. If you choose to outsource, there are ample of benefits that you can enjoy. You would not need to allow extra office space, hire people or compromise on employee benefits. So, let’s take a look at the benefits in detail. You would not need to search for an office space or give some space to this work in your existing office. Outsourcing to a call center in India will cost you a great deal of money. This is really cost-effective as outsourcing the call center services relieve you from the added burden of finding a new space for your business. The Indian call centers have agents, workspace of their own and this reduces the stress to maintain all of these things. Outsourcing to a call center in India gives you this benefit as well. There are times when the call centers start getting calls in bulk. Also, there are times when not many agents will be required to attend the customer calls. Basically, the call centers are scalable. They can manage a spike in the incoming calls well. In fact, you also get after hour support. On the other hand, if you will try to manage it in-house the agents will be available during the office hours only. Outsourcing will make you available to your customers round the clock. In-house call centers will face issues like power cut and weather change. But an outsourced call center will be able to combat these situations well. They have a backup for this so that they can operate well. They can handle calls and ensure that the customer doesn’t get disappointed with your services anytime. When you outsource the customer support of your company, no call goes unattended. They make sure that every call is picked in few rings. If the call center will be in-house, you will not be able to attend all the calls or not be able to handle the callers in the best manner possible. This will hamper the customer experience. In an Indian call center, the agents are trained well, have scripts and the experience that they have helps them in handling each call well which in turn increases the customer satisfaction. The customer churn also reduces significantly. The call center in India has proficient agents. They can speak in various languages. When you outsource your customer support offshore, you get access to global talent and latest technology. The call center personnel knows the ways to pitch your brand and persuade the person on the line. It also knows the ways to calm an infuriated customer. In brief, you should consider outsourcing even if your business is new. As managing the call center functions in-house will deviate you from the business functions that are more crucial to your business and need your attention. Outsourcing inbound and outbound calls to a call center can help you significantly. Your customers will get guidance and support round the clock and you will get excellent reps speaking on your behalf. The brand image will improve and the customer churn will reduce. Also, you would not need to dedicate office space for customer services. You can use that space, money and time in doing many other productive things for your business. So, delegate call center functions to India and notice the improvement in customer support of your company yourself.